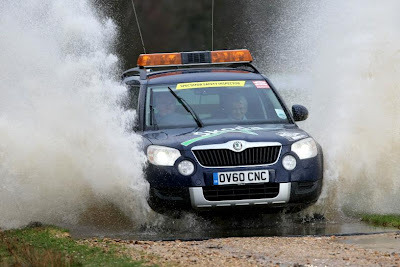 After a highly successful joint venture last year, ŠKODA UK will continue as Official Vehicle Partner to Rallye Sunseeker (February 24-25), the opening round of the 2012 MSA British Rally Championship. The highly popular Southern Car Club-organised event, which was voted BRC 2011 ‘Rally of the Year’, takes place in the forests near Bournemouth and Poole. Over the last 26 years it has grown into one of the best-loved and keenly contested events in the rally calendar. Over the course of the event, rally officials will drive a fleet of award-winning four-wheel ŠKODA Yetis, which are ideally equipped for the slippery gravel forest roads. ŠKODA UK will also loan the Dorset Police’s Traffic Division a Superb 3.6 V6 Elegance Estate 4x4 in police livery. 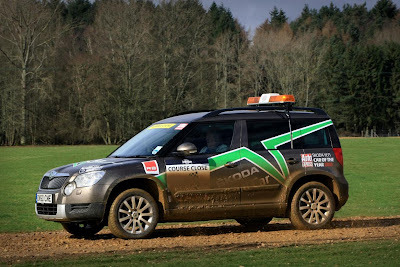 This will be used before and during the event by Inspector Matt Butler (Dorset Police Rally Commander) and Neil Roden (Safety Manager, Rallye Sunseeker). I wonder if we can borrow one for our rally coverage...?